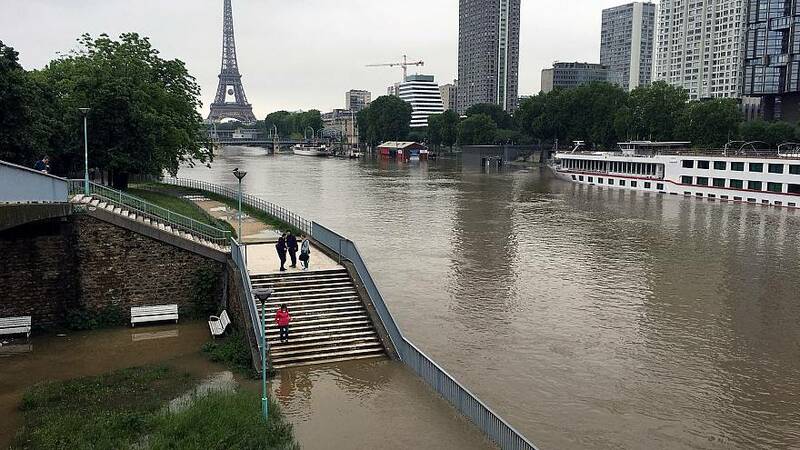 Storms, floods and heatwaves have wrought nearly half a trillion euros worth of damages across Europe over the past four decades, figures reveal. The European Environment Agency said economic losses from weather and climate-related extremes had cost €453 billion over the 1980-2017 period. The figure is for the 33 countries in the European Economic Area (EEA), which consists of the EU28, Switzerland, Norway, Liechtenstein, Iceland and Turkey. EEA's report said the average economic losses for each EEA member states totalled about €13 billion between 2010 and 2017. Germany was the hardest hit financially. It has lost some €96.4 billion since 1980. It was followed by Italy with €64.6 billion and France's €62 billion. However, France registered the highest number of fatalities, losing 23,415 of its citizens in weather-related events since 1980. Italy came next with a death toll of 20,657 people, with Spain coming in third, with 14,611 of its citizens fatally impacted. Heatwaves were found to be the deadliest weather events, accounting for 68% of all fatalities — 68,000 people are estimated to have died in the 2003 heatwave — but storms and floods are costlier, each accounting for 31% of economic losses. The report also flags that studies for economic losses linked to floods and storms in Europe suggest that the observed increases observed since 1980 are because of a rise in populations, economic wealth and developments in hazard-prone areas, but that the "observed increase in heavy precipitation in parts of Europe may have also played a role". It added that recent studies suggest that heatwaves, storms and floods "have become more likely and/or severe as a result of climate change" and said that evidence shows that improved flood protection and prevention has contributed to lower losses over time.